For the next few days Earth’s orbit passes through debris from Halley’s comet – an annual event known as the Eta Aquarid meteor shower. Named for constellation Aquarius and the star Eta – the focal point Aquarids radiate from. It doesn’t matter where in the world you live, look towards the eastern horizon a few hours before dawn on May 5 and 6th. Dependable, with a respectable average of 60 meteors an hour, Aquarids are one of the easiest showers to view. The reason pre-dawn star gazing delivers results is that the radiant (Aquarius) is highest in the sky an hour or two before twilight. The radiant isn’t as high in the northern hemisphere as southern hemisphere skies. 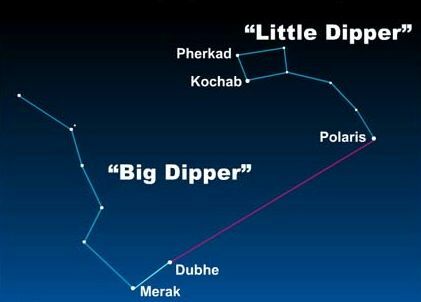 Southern hemisphere sky gazers get more sky streakers an hour, northern hemisphere enthusiasts get “earthgrazers” – extremely flashy slow moving show offs moving horizontally across the upper atmosphere as the radiant rises – look for them around 2 – 2:30 am. Meteors are nothing more than tiny particles, no larger than grains of sand, entering our atmosphere from 7 – 45 miles per second depending on their entry in relation to our orbit. Meteor showers simply cosmic dust trails left by passing comets – nothing substantial enough to survive our atmosphere – absolutely no chance of impact. A link to Earthsky’s 2014 meteor guide….